I am in love with this lovely lady's Flickr stream -- there are far too many bits and pieces in her outfits that are on my list of eventual must-have staples: floral stockings! petticoats! my dream boots! I'd like to make a detachable fur collar like this sometime; it probably isn't too hard. also: yellow doc martins! 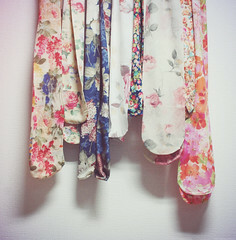 I do mean to get some soft ribbons for neckties and things soon. these are my absolutely perfect dream boots. also love the layering of lace. again: MY DREAM BOOTS. WANT.